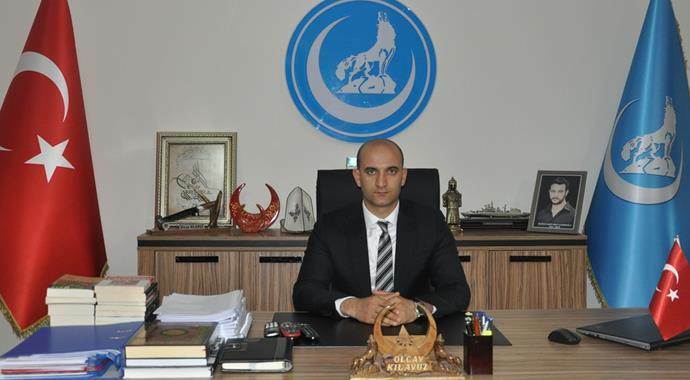 Olcay Kılavuz, president of the Nationalist Movement Party’s (MHP) youth wing the Grey Wolves (Ülkü Ocakları), said on Sunday that they don’t want tension in Turkey but that they can take up arms and fight the country’s local and external enemies if necessary. Speaking during a gathering of MHP members in İstanbul on Sunday, Kılavuz said they would support the “yes” camp during an April 16 referendum for a switch to an executive presidency in Turkey as MHP leader Devlet Bahçeli announced earlier. “We have to stand behind our word after our leader [Bahçeli] said ‘yes,’ and we don’t want any tension, unpleasantness or unrest [in the country]. But when it comes to serving our country, we will be there without a backward glance. When the nation is in need, we will take up arms and fight if necessary,” he said. The ruling Justice and Development Party (AKP), backed by the MHP, pushed through the legislation that President Erdoğan says will bring the strong leadership needed to prevent a return of the fragile coalition governments of the past. MHP leader Bahçeli publicly announced his support for the reforms. This article originally appeared in Turkish Minute on Mar 20.